Although it's not marketed as widely as the P9, the Huawei P9 Plus has enough tricks in its pocket to surpass the P9 fugleman if given the chance. The P9 Plus builds upon the premium P9 with a bigger AMOLED display, beefier memory and battery, and, of course, its key feature - the pressure sensitive technology or Press Touch as Huawei calls it. Indeed, the P9 Plus will finally show Huawei's interpretation of the pressure sensitive screen, as the Force Touch-enabled model of the Huawei Mate S (their first phone with it) was harder to find than a long lost pirate treasure. The Huawei P9 Plus employs a beautiful metal unibody as its P9 sibling, and is powered by the same Kirin 955 chip. There is 4GB of RAM and 64GB storage by default, while the Leica camera setup remains untouched - dual 12MP sensors - color and monochrome. The selfie camera got upgraded with a wider aperture and auto focus, though, so we could expect better shots especially in low-light. 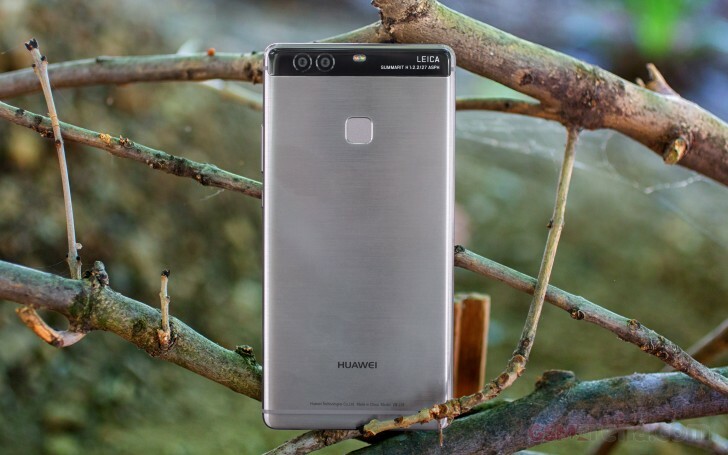 The Huawei P9 Plus specs list continues the long-standing omission of 4K video recording on Huawei phones. We were all but surprised to discover the lack of 4K video recording. People are already getting used to non-removable batteries, and the same goes for the hybrid SIM/microSD dual-SIM solution. So, the P9 Plus really doesn't have any glaring omissions. The fuss around the Leica-branded cameras is beginning to subside, but in the meantime Huawei has worked to improve the P9 and P9 Plus cameras even further with firmware updates so the camera quality is guaranteed by all means. Checking out your photos on the gorgeous AMOLED screen is a treat on its own as well. So, we've already reviewed the Huawei P9 in detail. It's time see how the P9 Plus does. Diamond pentile Oled is the worse to have for the display solutions. The blue pixels have potential to suffer burn-in higher than the red pixels and green pixels.